Many OPEC members say the cartel may have to call an emergency meeting production and prices because of the damage the collapse of oil prices has been doing to their countries’ economies. But the prospects of such a gathering seem remote. This discomfort comes just three months after OPEC’s last meeting, in November, in which, under Saudi pressure, the group decided to ignore the drop in oil prices, as well as the pleas of less-wealthy members, and maintain a production ceiling of 30 million barrels per day that has been in place for three years. In January, al-Naimi told the Middle East Economic Survey that his aim was to drive oil prices low enough that such “inefficient” production methods would cease to be profitable. But while that approach is having some success, it does little for the budgets of many OPEC members. Particularly vulnerable OPEC members are Venezuela and Iran, who pressed OPEC’s leadership for a production cut before the November meeting and have since publicly campaigned for action to shore up oil prices. 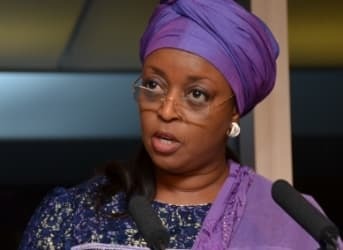 Alison-Madueke told the FT that if the price of oil slips below its current $60 per barrel, “it is highly likely that I will have to call an extraordinary meeting of OPEC in the next six weeks or so.” She said she’d been discussing the possibility with other members of the group. She added that she hoped, but couldn’t be certain, that the price of oil could stabilize at its current $60. Another reason: Saudi Arabia and probably all other OPEC members are aware that if production is cut and prices rise, US oil producers would fire up the rigs they shut down recently when fracking became unprofitable and resume production that could only feed the existing global glut in crude. Finally, there’s the possibility that Alison-Madueke’s comments on an emergency meeting were motivated primarily by domestic politics in Nigeria. A higher price for oil would help the country, Africa’s largest crude producer, because normally it provides the government with about 80 percent of its revenues.